It’s back! 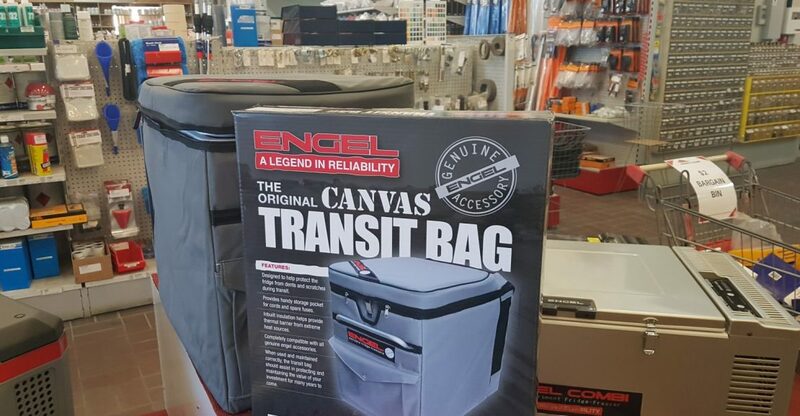 The Original Engel Fridge Transit Bag is back to the quality Canvas that made it popular to begin with. For the farmer, camper, 4W driver and anyone in between. Protect your fridge. Designed to help protect the fridge from dents and scratches during transit. Provides handy storage pocket for cords and spare fuses. Inbuilt insulation helps provide a thermal barrier from extreme heat sources. Completely compatible with all genuine engel accessories. When used and maintained correctly, the transit bag should assist in protecting and maintaining the value of your investment for many years to come. To purchase a bag, call your local Kenway & Clark store or pop in.